WILLEMSTAD - Margit de Freitas has been suspended. 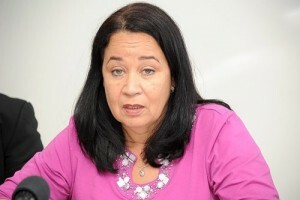 The director of the Curaçao Education Financing (SSC) has been in the clinch for a while with the Minister of Education Marilyn Alcalá-Wallé. Yesterday the new Supervisory Board took action and prohibited De Freitas from entering the SSC premises. The direct reason is the topic ‘studying in the region’. SSC says that it doesn’t have enough funds for the students who want to continue their education in the region.